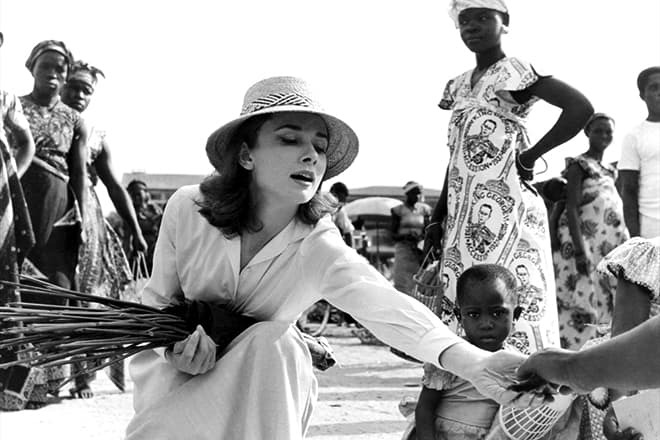 Audrey Hepburn was the famous British actress, photo model, and humanitarian. This charming, incredibly beautiful, and remarkably talented woman became the example to follow for many people all over the world. She continues to be the style icon and femininity standard. The future actress was born in May 1929 in the small town Ixelles not far from Brussels. 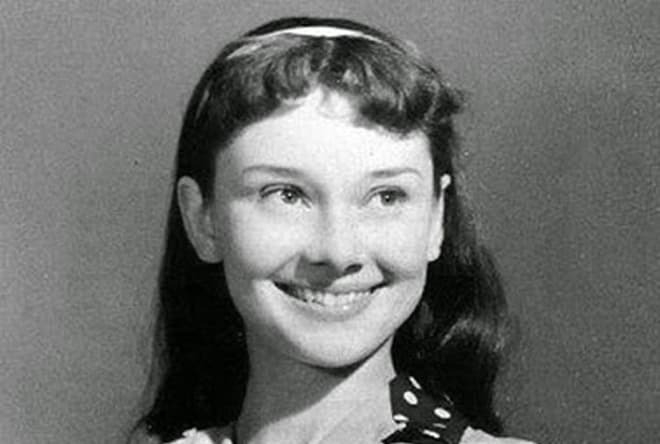 Her real name was Audrey Kathleen Ruston. Her father was an English banker Joseph Victor Anthony Ruston, and the mother was a Dutch Baroness Ella van Heemstra. 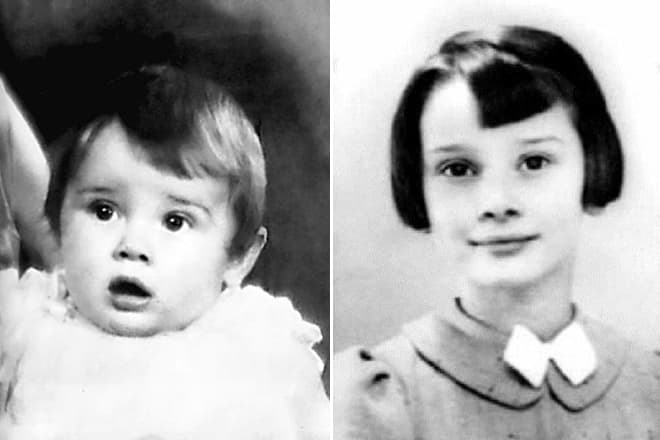 Later, the father added “Hepburn” to his second name which made his daughter Audrey Hepburn-Ruston. Despite her noble ancestry, Audrey had to encounter many challenges in her childhood. At the age of six, the would-be actress suffered from the parents’ divorce. She moved to the Netherlands with her mother. 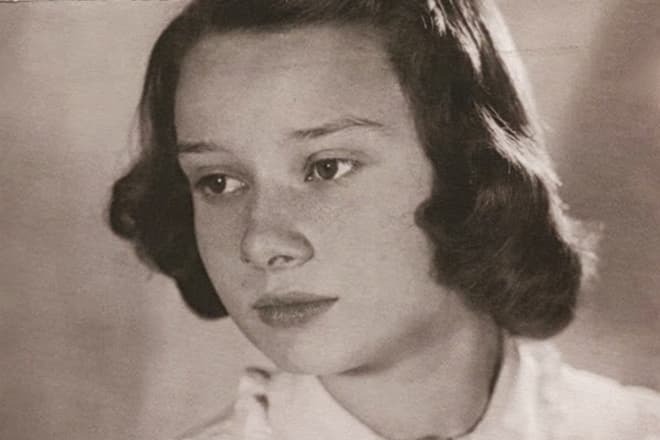 When Audrey was of the school age, she lived in Arnhem occupied by the Nazi. As the Germans invaded the country, she took the pseudonym “Edda van Heemstra” because her real name sounded English: it could bring her trouble. Today, some people wrongly believe it is the actress’s real name. During the war, Audrey had to starve. In the course of time, this stress manifested itself in her health: the woman’s metabolism never improved, and she suffered from anemia, respiratory diseases, and depression. When the war was over, Hepburn, who had always been interested in art, finished the Arnhem Conservatory and moved to Amsterdam where she and her mother worked as nurses in a soldier’s home. In 1946, Audrey started taking ballet lessons without quitting her job; Sonia Gaskell was her teacher; later, Marie Rambert and Vaslav Nijinsky instructed her. The young woman was working hard, but her shortness coupled with chronic undernourishment consequences would never let her become a top ballet dancer. At that period, Audrey’s mother had to take any menial job to support the family. Audrey Hepburn had to earn her living herself, and the acting career proved to be the best option. The actress’s movie debut took place in 1948 when she appeared in the tutorial movie Dutch in Seven Lessons. One Wild Oat (1951) became the first feature movie. The next two years, Hepburn had several minor roles; the managed to get a significant role only in 1952: it was Secret People. William Wyler’s Roman Holiday (1953) brought Audrey Hepburn the real success. The movie tells the story of the love between Princess Ann and an ordinary American journalist played by Gregory Peck, one of the most popular actors of that epoch. 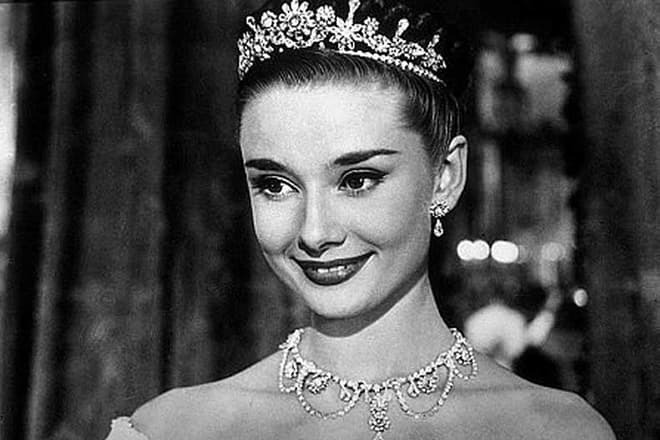 For this role, Audrey won the Academy Award, the Golden Globe Award, and BAFTA. After the tremendous success of Roman Holiday, Wyler collaborated with Audrey in three other movies of various genres: S. Taylor’s staged play Sabrina (1954), the drama The Children’s Hour (1961) based on L. Hellman’s work, and the comedy detective How to Steal a Million (1966). Other directors gladly worked with Audrey as well. 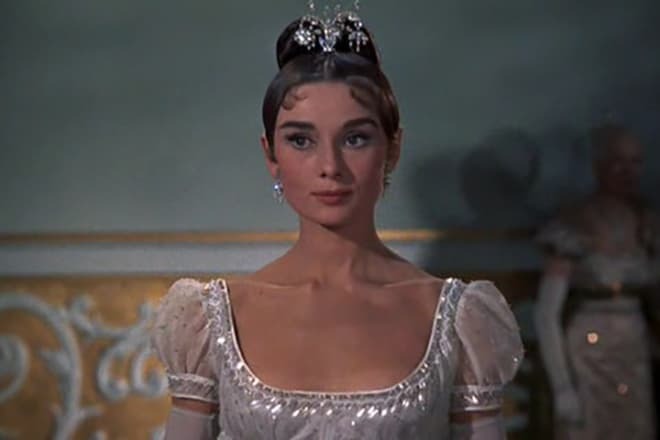 The actress brilliantly played tender, adoring Natasha Rostova in War and Peace created by King Vidor in 1956. The audience also remembers Audrey for Fred Zinnemann’s The Nun’s Story (1959): her character, a young woman full of strength, turns out into a wilted “nun” tired of the hospital duties. 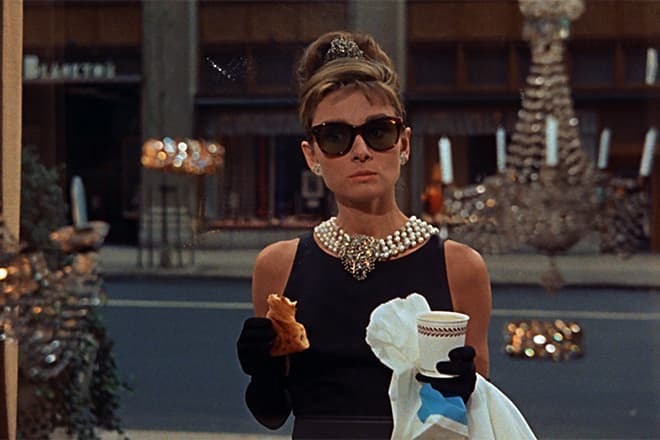 The role in Blake Edwards’s Breakfast at Tiffany’s (1961) became one of the most significant works. The figure of Holly Golightly became iconic, and the actress’s “little black dress” remained a hit for a long period. Audrey Hepburn’s works in musicals are worth noticing. 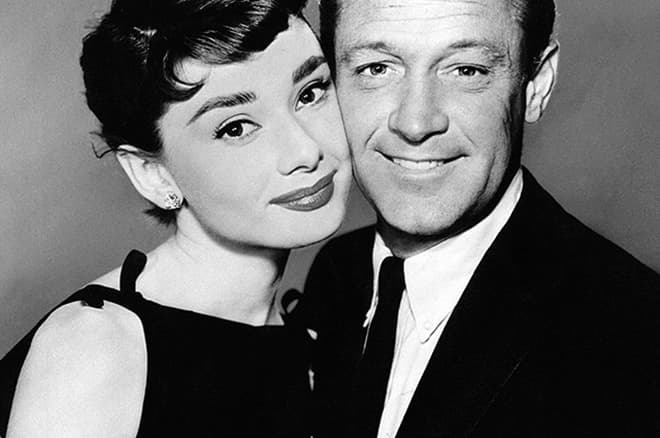 In 1957, she appeared in Funny Face; the king of the genre Fred Astaire was her partner, and they looked good together. 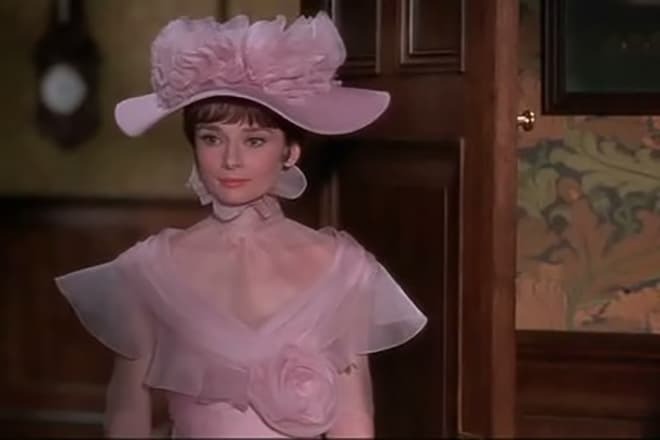 In the 1964 Broadway musical My Fair Lady by George Cukor, the actress got one of her best roles. Hepburn was actively engaged in movies until 1967; later, there was a large gap in her acting career. In 1976, she came back on the screen: the movie Robin and Marian came out. From that time, the actress starred in movies occasionally. The role in Steven Spielberg’s Always (1989) became Audrey’s last work. 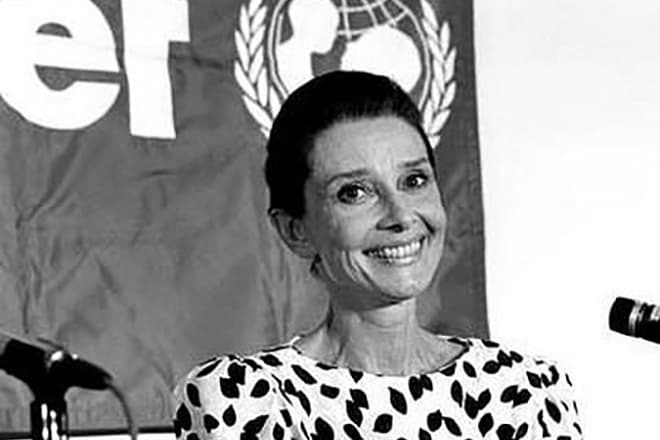 As Audrey Hepburn finished her acting career, she was appointed as the UNICEF Goodwill Ambassador. She began to cooperate with the organization earlier, in 1954: she took part in programs broadcast on the radio. 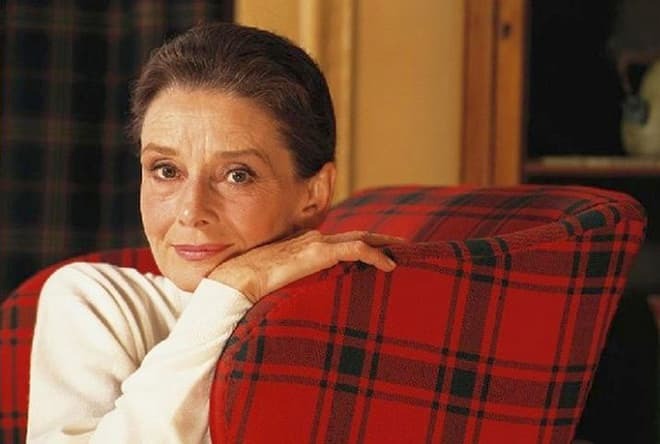 Hepburn was grateful to the foundation: it saved her life after the Nazi’s occupation. The woman spent her last years improving children’s lives in poorer countries. Throughout five years of her work, Audrey Hepburn visited more than 20 countries and took care of disadvantaged children and their families. She went to Ethiopia, Turkey, Vietnam, South and Central America countries, and Bangladesh and helped organize humanitarian aid supply, vaccination programs, and drinking water provision. The actress’s knowledge of several languages made her work easier: she spoke French, Dutch, English, Italian, and Spanish. In 1992, Audrey Hepburn received the Presidential Medal of Freedom for her UNICEF activism. As the movie Sabrina was being made, Audrey started seeing her stage partner William Holden who was married to the actress Brenda Marshall. In Holden’s family, having an affair was considered a norm. The actor had already two sons and had a vasectomy to avoid having out-of-wedlock children. 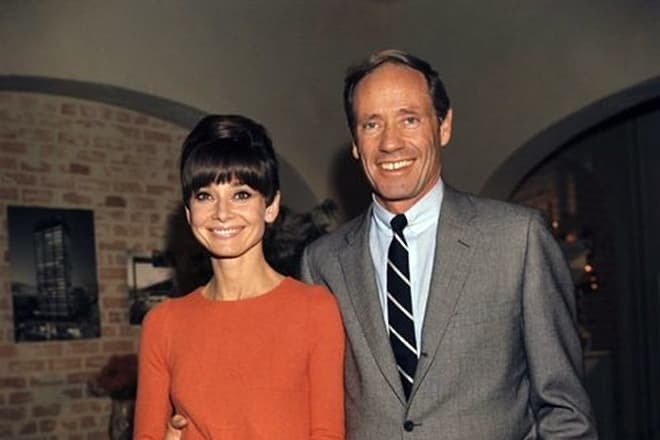 However, Audrey wanted to marry and have children; as soon as she learned Holden was unable to become a father again, she broke up with him once and for all. Audrey Hepburn met her future husband, the director and actor Mel Ferrer, during the work on Ondine. Nothing could stop the lovers, even the fact that it was Ferrer’s third marriage and he had five children. The actors married in 1954. Six years later, their son Sean Hepburn Ferrer was born. Audrey and Mel lived for 14 years together and then split up; they never revealed the reason for their divorce. The break-up with Ferrer was difficult for the actress; she had to ask for the medical help. The Hollywood star underwent the treatment and later married her psychiatrist, the Italian Andrea Dotti, and gave birth to his son Luca. In a while, the family relationship deteriorated: Dotti was cheating on his wife, and Audrey tried to ignore that. Her patience lasted for ten years. 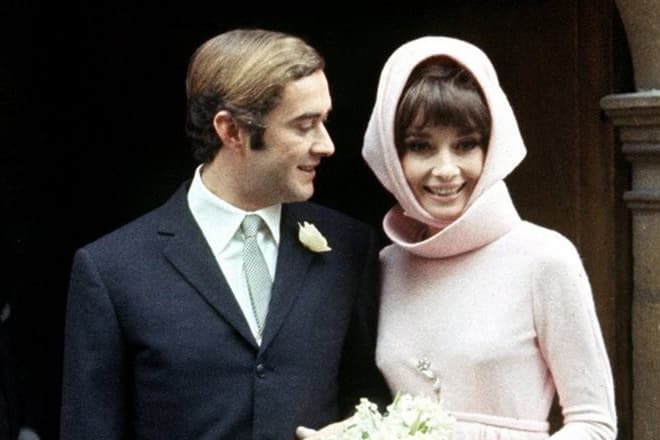 At 50, Audrey fell in love again. She had the relationship with the Dutch Robert Wolders for the rest of her life. There was no official marriage, but it did not prevent the couple from being happy together. The UNICEF work required much energy. Numerous trips had a negative impact on Audrey’s health. In 1992, she visited Somalia and Kenya for the last time. At that time, she felt the unbearable abdominal pain, and African medics insisted the mission be phased out immediately. The woman refused. The high-quality examination was taken only when Audrey came back from Africa. Unfortunately, she was diagnosed with a colon tumor. 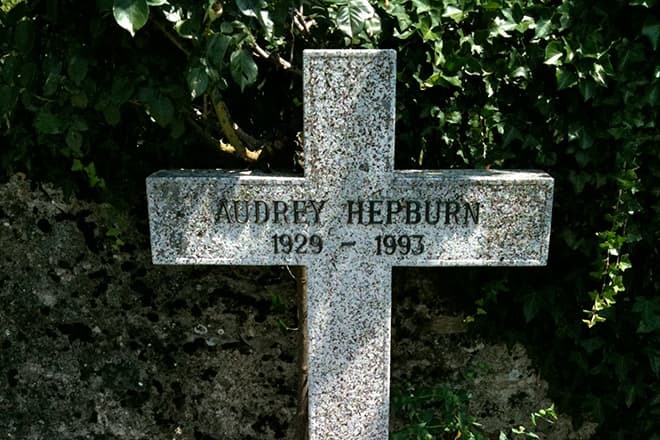 In a fortnight, Hepburn had a surgery; medics believed it was successful. However, three weeks later, she was retaken to a hospital: the pains resumed. As it turned out, the tumor metastasized, and the actress’s days were numbered. Soon, she left the hospital and settled in Switzerland, the small town Tolochenaz. Doctors could not help. The woman spent her last Christmas with her children and Wolders; she called the holiday the happiest one in her life. On January 20, 1993, the great actress passed away with her family around; she was 63 years old.